﻿I love the look of watercolor washes. Some watercolor pigments dry with a granular residue that settles in the surface of the paper and enhances its texture, and others when dry appear to float above the rest of the image. 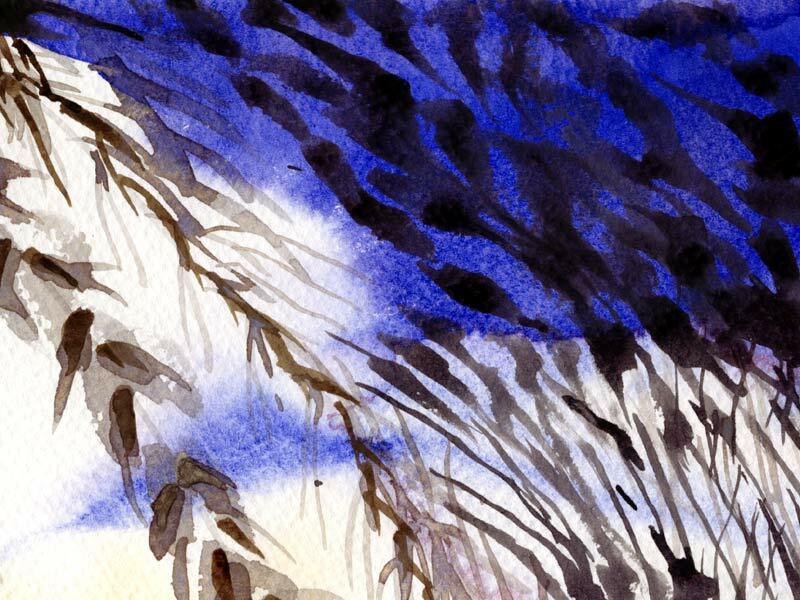 In this brush stroke study, the contrast of the misty blue background washes and the definite shapes of the brush marks gives a quiet landscape feeling to the picture.